Your password has been sucessfully changed. A Super Heroine Saves The Day! Look! It's a bird! It's a plane! It's your incredible super girl! 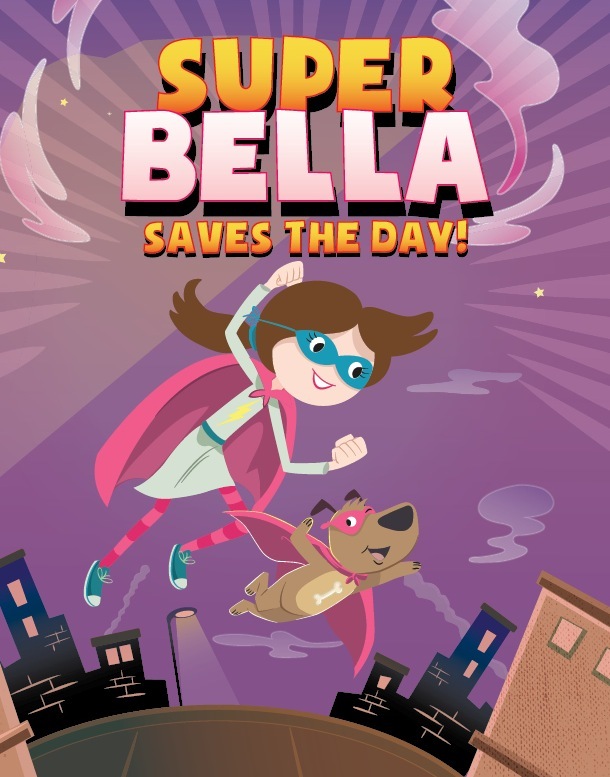 Your child will marvel with wonder as she is transformed into a superhuman with extraordinary abilities! Watch your child’s imagination soar as she is given the ability to fly and do daredevil feats, all for the service of good. This incredible 24 page personalized book is amazingly illustrated by Richard Peter David and written by Natalia Diaz. Each 8 3/8” x 10 3/4” professionally bound hardcover book is personalized throughout the text and illustrations, including the child’s name and the names of her relatives and/or friends. As an added personal touch, this book also includes the child’s birth date and a printed dedication from the sender. When ordering, customers have the option to upload a photo of their child to appear on the dedication page of the book. This marvelous keepsake is a perfect gift for girls ages 0-12. (See our boy version as well). When ordering, customers have the option to upload a photo of the child, to appear on the dedication page of the book. ORDERI NG INFORMATION: The only information required to be able to order this gift is the child's name. All other information provided is optional. Although if provided, it would enhance the uniqueness of each gift created especially for the child. Copyright © 2019 www.lookitsaboutme.com. All rights reserved.